The award-winning venue has recently implemented high-efficiency, long-life Tamlite LED EXPO products in its 6,000 square metres Ericsson Exhibition Hall. A pioneer in the world of sport, business and entertainment, this world-class destination has provided a catalyst for urban regeneration and economic development since it opened in 2005. 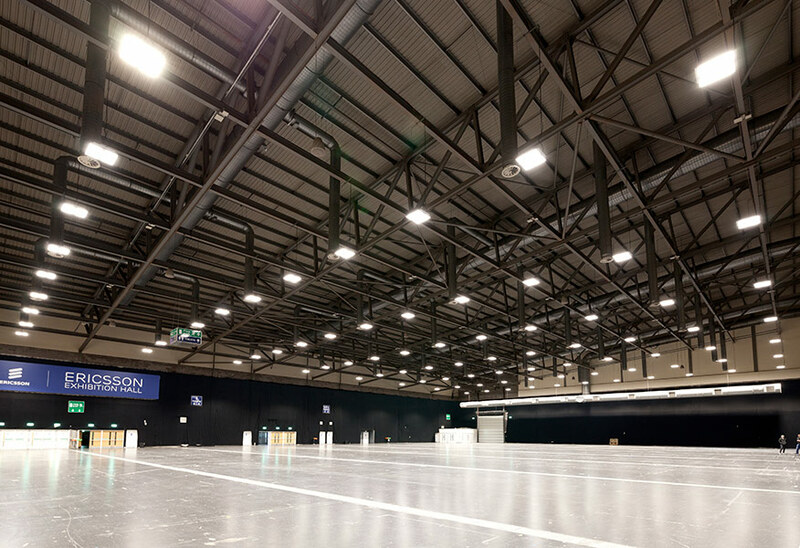 In order to maintain its advantage and reputation for incorporating the most efficient technologies, the exhibition hall recently underwent a lighting upgrade designed to meet an increased range of customer requirements as it expands into new exhibitions, cultural and sporting events. Read more. There were a number of constraints to factor into the design, including ducting, existing trunking and air movement, as well as working within Sports England’s Artificial Light Guidelines and ‘Zero Reflect’ requirements (black walls and ceilings and dark grey floor). Point to point replacement was needed whilst significantly increasing the level of illuminance and controllability. 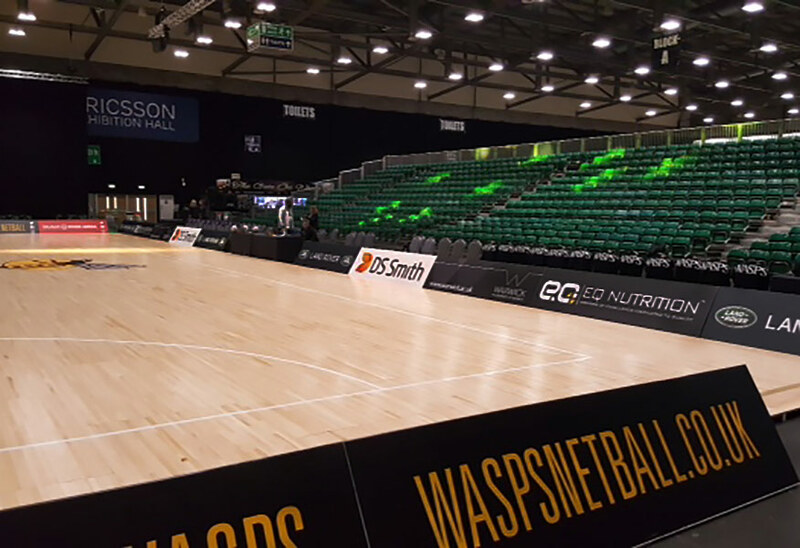 In addition, the customer’s key project objectives specified the need for increased levels of illumination, in order to continue servicing major national and International sporting tournaments, such as netball and snooker championship events. Also specified was the need for a flexible and controllable lighting solution to meet the needs of different customers’ requirements, from exhibitions and sports tournaments to concerts, and to ensure multiple lighting options from a wireless device. The final crucial objectives was to ensure an overall cost saving compared to the previous design and a non-negotiable 2-week installation window ending January 2017. The solution was devised by Tamlite’s Product Manager, Dan Griffiths and manufacturing lead, Stuart Besford. 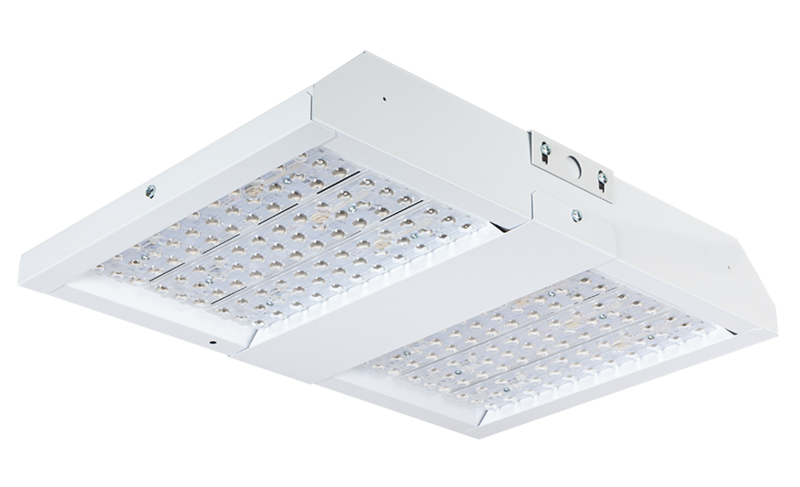 The design featured Tamlite’s EXPO low bay/high bay LED luminaries, which provide one of the highest outputs in the industry and superior controllability. 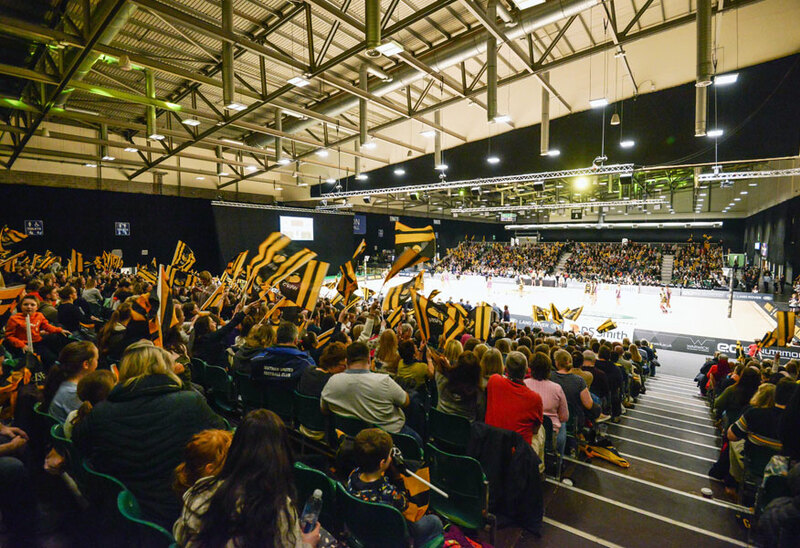 In addition they are versatile enough to perform when significant changes in requirements are needed, for example, lighting areas to 800 lux for netball one day and under 200 lux for snooker the next. Speed of installation was crucial and zero maintenance requirements key. The EXPO has been designed specifically for sports halls and industrial facilities, and can be mounted at up to 20m height. 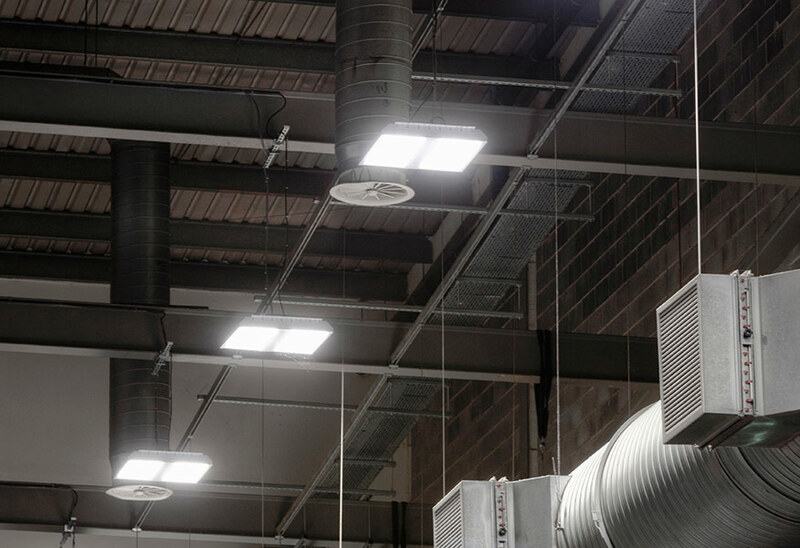 Incorporating the Tamlite I-Tec optic technology for a choice of beam patterns, the EXPOs offer DALI dimming capability and enable wireless control via an integrated lighting management system. Featuring a high-performance optical array and in-house LED boards, EXPO delivers: a high-output LED low bay; Emergency and VISION control options; CRI: Ra>80; up to 150 lumens per Watt efficacy; and 50,000 hours’ lifetime all designed and built within the U.K. 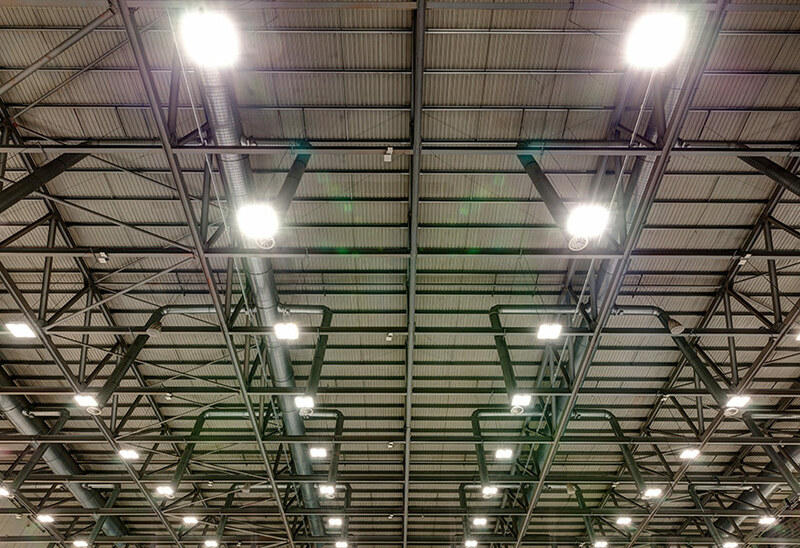 The EXPO supplied to the Ricoh Arena was customised for their trunking system, with fittings that ensured luminaires would not swing or twist.